Atlas of Military History explores the history of warfare from the Antiquity to the present day. Truly international, it examines the rise and fall of some of the greatest empires the world has ever seen, along with the military leaders who built them. In a combination of specially drawn, full-color maps, fascinating text, and lavish illustrations this book takes the reader on a journey through time. Together they combine to present a picture of a changing world. It mirrors a growing understanding of the wars of the past and and gives insights into the wars being waged in the world we live in today and those likely to be fought in the future. 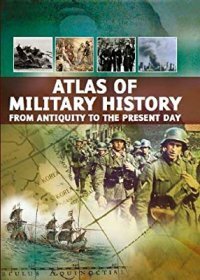 Atlas of Military History by Aaron Ralby is a great book for those who are interested in military history but don't know where to begin their research. The book's table of contents is organized perfectly and is divided by the different parts of the world, for an example "The Americas" and "Oceania". With in those categories, a chronological series of events are listed with respective page numbers to direct readers to the information. Because so many wars and battles are presented, only about two pages of information are dedicated to any specific event with major events such as World War II receiving four pages. The information within the book is somewhat lacking because each event gets very little attention. Be that as it may, the facts are interesting enough to encourage readers to seek out books that were written specifically for their area of interest in order to gain more knowledge about the subject. The pages are very high quality as well, a step above textbook pages, and are full color with pictures on every page. Because of its high quality, I felt as if the book should be more expensive than it is. Overall this book isn't for those who already know a lot about military history and is best suited for children who have an interest in military history or adults who are interested but don't know where to begin their research. The book gives a little information about a lot of events so that readers can figure out which events they want to be their main focus when it comes to research and learning. Review by B. Tate, "A Great Introduction To Military History Of The World." Soldiers have always told their tales of war, but in Bloody Hell, they go further and lay bare the horrors, nightmares, and nagging questions that haunt their lives. Veterans of every major war in this century reveal the real price that soldiers pay, exposing the chasm between the recruiter's sell and the realities of the military machine. The military services spend tens of millions of dollars on advertising to attract young people to their ranks. Supported by school guidance counselors as a prime career option the system enlists hundreds of thousands of low income teens. What happens next? Read this book to understand why such a high proportion of our nation's homeless and mentally ill are veterans. This pocket sized paperback is based on a larger hardcover version called Hell, Healing and Resistance. 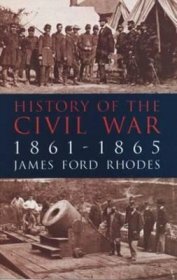 Awarded the Pulitzer Prize in 1917, James Ford Rhodes's History of the Civil War, 1861–1865 stands among the essential works in American history. 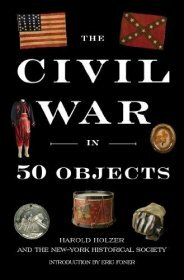 Remarkable for its scholarly research, objectivity and engrossing narrative style, this volume is widely regarded as one of the most outstanding studies — and the first unbiased history — of the Civil War. The book presents a neutral approach to the bloody struggle, neither distorting nor coloring the facts. Rhodes worked methodically, collecting the evidence, considering the opinions of others, and then precisely and lucidly presenting his own conclusions. Distilling material from official military records, diaries, reminiscences, letters, memoirs, newspapers, manuscripts, books, and interviews, the author produced an essential, carefully weighed, and complete account. The critics agreed: "a clear outline of the Civil War . . . it is well worthy of the welcome it has already received." — American Historical Review. " . . . the author's notable faculty of summarizing without leaving out the spirit, the life, and the color of events . . . infuses his narrative with unusual power to re-create the time of which he writes." — The New York Times. While the narrative is neutral, choosing neither villains nor heroes, the ideological direction of Rhodes's work is surprisingly current. In accord with such present-day interpreters of the Civil War period as James McPherson and Ken Burns, Rhodes saw the Civil War as essentially a fight for freedom, and focused upon Abraham Lincoln as the deciding factor in the granting of freedom and the winning of the war. This Dover edition contains a cogent new introduction by John Herbert Roper, Richardson Professor of American History, Emory and Henry College, Emory, Virginia. Mathew Brady recognized that the new art of photography could be more than just a means of capturing people’s likenesses in portraits. 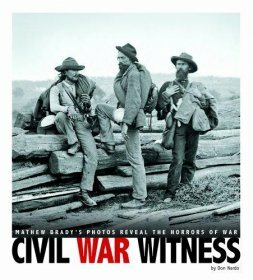 Beginning with the First Battle of Bull Run in 1861 and continuing through the entire Civil War, Brady and his employees chronicled the long, bloody conflict, bringing images of war directly to the people. Brady knew the photos would create valuable historical records for later generations. More than any other photographer of his generation, Brady understood photography’s great potential―and through his influence, he taught others to understand it as well. From the American Revolution to the end of World War II, the United States spent nineteen years at war against other nations. But since1950, the total is twenty-two years and counting. On four occasions, U.S. presidents elected as "peace candidates" have gone on to lead the nation into ferocious armed conflicts. Repeatedly, wars deemed necessary when they began have been seen in retrospect as avoidable...and ill-advised. Americans profess to be a peace-loving people and one wary of "foreign entanglements." Yet we have been drawn into wars in distant lands from Vietnam to Afghanistan. We cherish our middle-class comforts and our children. Yet we send our troops to Fallujah and Mogadishu. How is it that ordinary Americans with the most to lose are so easily convinced to follow hawkish leaders-of both parties-into war? 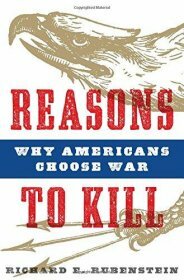 In Reasons to Kill noted scholar Richard E. Rubenstein explores both the rhetoric that sells war to the public and the underlying cultural and social factors that make it so effective. With unmatched historical perspective and insightful commentary, Rubenstein offers citizens new ways to think for themselves about crucial issues of war and peace. How could so literate a country as Germany become the scene of book burning and thought control? How could so sensitive a people participate in the organized and pitiless mass slaughter of millions of defenseless and innocent men, women, and children? How could a country with so notable a military tradition stumble into the greatest military catastrophes of modern history? 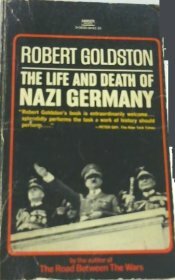 In a brilliant prologue, Robert Goldston raises these questions and offers some tentative suggestions about German history, geography, social structure, and political experience, which reveal the complexity of the questions. 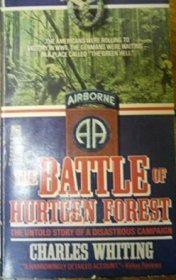 The rest of the book dramatically narrates the Nazi accession to power, the plunge into war, and the final victory of the Allies. It ends with an assessment of Germany's rebirth and of the ironic situation in which Germany finds itself today. On a spring day in 1968 the men of Golf Company, Second Battalion, 9th Marines, walked into a disastrous firefight along the Quang Tri River. Only half the company walked away. In one of the most powerful books to come out of Vietnam, former Marine and New York Times columnist Michael Norman explores the extraordinary bonds that form between men in war, as he tracks down and reunites ten men who served with him in Golf Company. 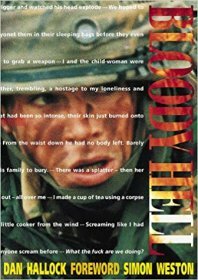 In Vietnam they shared the intimacy of war: the fear, the sacrifice, the camaraderie set amidst blood and death. Back home they were on their own, pursued by their own injuries and memories--in Texas suburbs, the hard-scrabble Oklahoma Hills, the swirl of New York, the elegance of London. Yet a fierce attachment linked them forever. 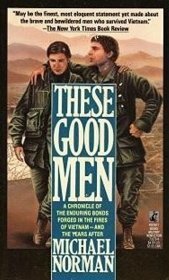 Beyond the violence and brutality of war, These Good Men is the story of what happened to these men in combat and in the twenty years after. It is the story of the journey of faith and 50,000 miles that brought them together again--at an emotional reunion nearly two decades after they left Vietnam. Most of all, it is a moving testament to one generation's loss, resilience, loyalty, and love. In a battle that should not have been fought, 30,000 US soldiers were killed or wounded in 1944-45 on the German/Belgian border. This is a classic account of the price fighting men must pay for the prideful blunders of their ambitious commanders. A classic in its field. Why Nations Go to War engages readers in a dialogue about the human truth behind the mechanistic forces of war. Stoessinger examines the characters and personalities of leaders who have taken their countries into battle, showing how misjudgments and misperceptions affected the course of history. 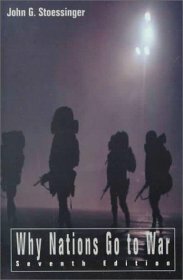 The seven case studies provide a solid historical background on twentieth-century warfare, while the compelling narrative keeps the readers involved. The seventh edition has been thoroughly updated and includes a new case study on Bosnia and the war over the remains of Yugoslavia. 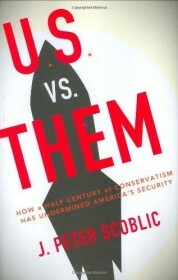 In this compelling and sometimes alarming analysis, J. Peter Scoblic, executive editor of The New Republic, traces the history of American foreign policy and how it has evolved from the Cold War conservatism of the 1950s to today. The belligerence, intransigence, and disinclination for diplomacy that mars the right wing once brought us to the brink of nuclear war with the Soviet Union. More recently it has failed to meet the post-9/11 challenges posed by Iraq, Iran, and North Korea. Scoblic argues forcefully that the only way to face these new threats practically and seriously is by adopting an approach exactly opposite to that suggested by conservatism. By diagnosing the origins of Bush's foreign policy, U.S. vs. Them illuminates the path to renewed American leadership in the twenty-first century as the most serious danger ever faced looms before us: nuclear terrorism.